AVID’s engineering is based upon a sound understanding of construction and its impact upon vibration dispersion and control. Ensuring that 100% of the vibrations that you want are converted to an electrical signal and, conversely, ensuring unwanted vibrations are eliminated. An isolation platform might seem like an unnecessary addition to an already fairly inert system – that is, until you try one. The benefits are not restricted to turntables either. CD players, Pre-amplifiers, especially valve-based products are transformed when they are isolated. 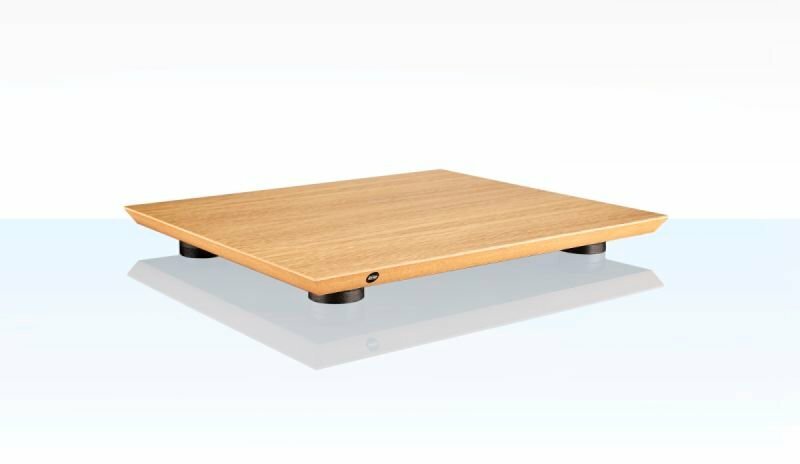 The vibration-absorbing qualities of Sorbothane are well documented and have been used in high-end hi-fi equipment for several years now. In a three-way collaboration with a local university and the manufacturers of Sorbothane, we have pioneered the application of a new variant compound – the most impressive vibration absorbing material we have encountered.